In business, we all want to find that competitive edge, and that’s what makes business aircraft so valuable. Even in this modern world of extraordinary communication technologies, there is still no substitute for a face-to-face meeting. Whether you’re signing lucrative new deals around the world, or visiting your global offices to launch exciting initiatives, a business aircraft will dramatically improve your impact, productivity and efficiency. As you fly, you’ll literally leave your competitors behind. 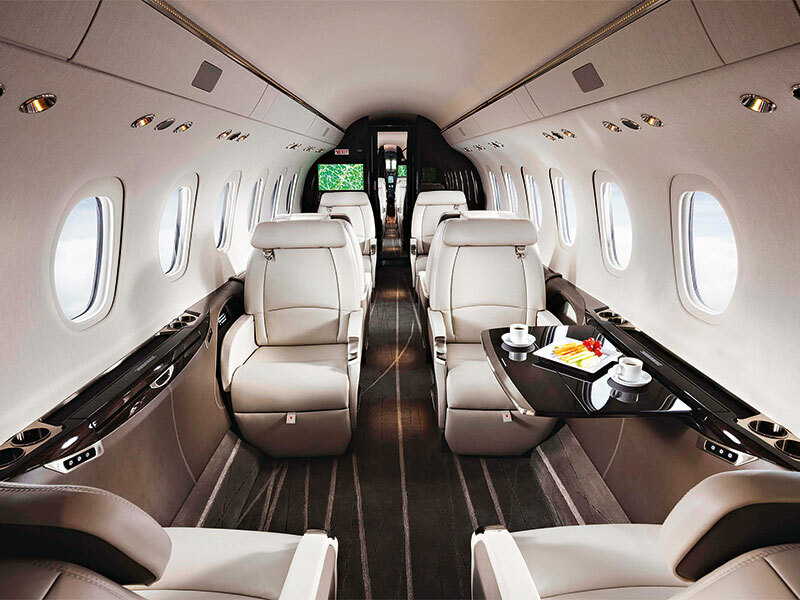 The benefits of flying in a business aircraft, compared to travelling by commercial airline, are significant. You’ll never need to worry about flight schedules again; you’ll fly exactly when you want to. There’ll be no more long taxi journeys or time-consuming airport transfers because the airline doesn’t actually fly to your final destination; you’ll choose where you take off and you’ll choose where you want to land. While your competitors are sitting, tired and frustrated, in a congested airport lounge waiting for a delayed flight, you’ll already be back in your office. And absolute privacy in a business aircraft means you and your colleagues can hold inflight meetings and discuss confidential matters without any fear of being overheard. The key is making sure the aircraft you buy reflects your requirements. At first glance, many business aircraft might look alike, but seemingly small differences can be economically significant in the long term. Buying a business aircraft needs to be addressed with the same clear, objective analysis you would apply to any important investment. Think carefully to establish exactly what your company needs. There’s a business aircraft for every requirement. If, for example, you and a small team need to fly from Paris to London every week, a long-range, large-cabin jet would be unnecessarily costly. Instead, you’ll want, for example, a seven-passenger Cessna Citation M2. Alternatively, for longer journeys with larger teams within Europe, a Cessna Citation CJ4 would be perfect. The aircraft can carry 10 passengers and has a longer range (2,165 nautical miles) and higher maximum cruise speed (451 knots true air speed) than the M2. If, on the other hand, you regularly travel with a large team from Europe to the MENA region, you should look at the Cessna Citation Longitude, which offers a maximum cruise speed of 476 knots true air speed. Not only can the aircraft carry up to 12 passengers, the spacious baggage compartment (accessible in flight) will easily hold all those overnight bags. The double-club, flat-floor cabin allows maximum comfort, and is the quietest in its class. At Textron Aviation, the leading general aviation authority and home to the Beechcraft, Cessna and Hawker brands, we have been investing heavily for years in developing our family of business aircraft. The nine-passenger Cessna Citation Latitude entered service in 2015, and has been an instant success, securing more deliveries in 2016 than any comparable mid-size business jet. The first flight of the Cessna Citation Longitude took place in 2016, with certification expected in 2017. This stunning 12-passenger aircraft will offer the longest range (3,500 nautical miles) of any Citation, but not for long; we are working on the Cessna Citation Hemisphere, with a range of 4,500 nautical miles, which will give companies true global reach. To gain the best return on your aircraft investment, you need to maximise the availability of the aircraft. Exceptional after-sales service and maintenance is essential, and there is no substitute for factory-direct support. With company-owned service centres in Doncaster, Düsseldorf, Paris, Prague, Valencia and Zürich, and mobile service unit stations in Nice, Cannes, Geneva, Bremen, Luton, Stuttgart and Frankfurt, Textron Aviation’s ability to provide fast and comprehensive support across Europe is simply unrivalled. The largest network of company-owned service centres supports customers worldwide through the industry’s most capable service network.